GROUNDING: A basic understanding of the tenets of Clear, Effective Thinking. DISCOVERY: Gaining acces to and learning to have faith in your Innate Capacities; creativity, perspective, insight, analysis, common sense, organized thinking and wisdom, to name a few. DEVELOPMENT: Building your own Practice of Leadership requires dedication to continuous improvement to sustain a Leadership State of Mind. Traditional Coaching - In traditional coaching relationships, the coach is the authority figure, the expert who examines the client's behaviors for symptoms of predictable problems and then prescribes the cure. A Coaching Alliance - There is a healthier approach to coaching that more accurately represents the CoachCarruthers idea of a coaching alliance. In this partnership, coaching occurs in a climate of mutual discovery where each can learn from the other. Together we explore the quality of thinking...the state of mind...that influences behaviors. Foundation - It's a Matter of Principle - The philosophical foundation for the CoachCarruthers approach to Executive Coaching is rooted in my ever evolving understanding of the Principles of the Human Experience - Mind, Consciousness and Thought - from the teaching and coaching of Syd Banks, author, philosopher, and lecturer. Mind - I have always acknowledged an undeniable force of energy in my life, something bigger than me. I call that Spirit. Syd calls the source of this energy Mind, the intelligence of all things. No matter what we call it; even if we don't acknowledge or believe in it; the fact is we are here. The question is what are we here to do? What is our Purpose and what is the Meaning of that purpose in our life? Consciousness is our awareness. As my awareness grows I am called to Learn and Discover more. Syd describes Thought as our rudder, our guide that takes us through life. We create our experience of life through our thoughts... not just what we think but most important, how we think. We enhance our experience of life through our Relationships and Connections with everything and everyone. These are the Principles of the Human Experience of Life. Leadership is a Human Experience. And indeed, it is a matter of Principle. Years ago a heart-shaped image appeared to me during an intuitive meditation. 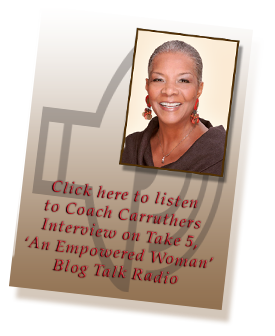 I was seeking guidance that would help me protect and preserve my heart as I engaged in coaching relationships. I was guided instead to embrace coaching from the wisdom of the heart. That understanding is the foundation for Executive Coaching from the Wisdom of the Heart and the inspiration for the creation of an intricate heart as the CoachCarruthers logo. It is adapted from the Sankofa, an abstract heart-shaped symbol from the Akan people of Ghana, West Africa. It represents learning from the wisdom of the past. Literally it translates as “looking back” at our experience of life to gain the wisdom we need to move forward.